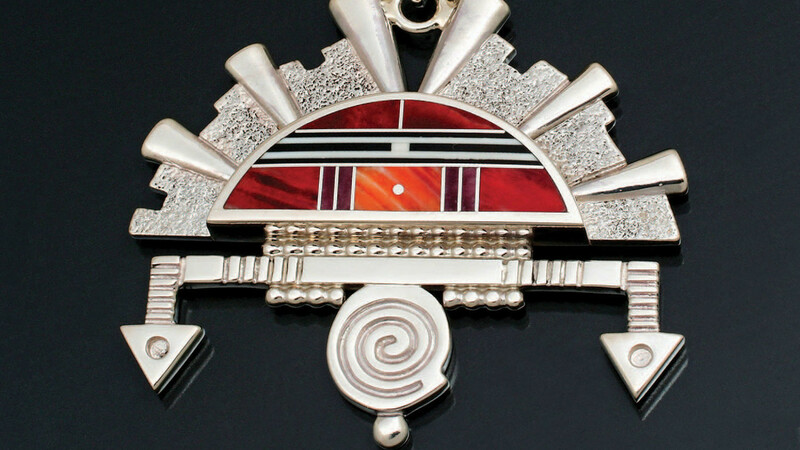 Arizona-born and Hollywood-tested, this Navajo jewelry artist plies his trade all the way to Tokyo. 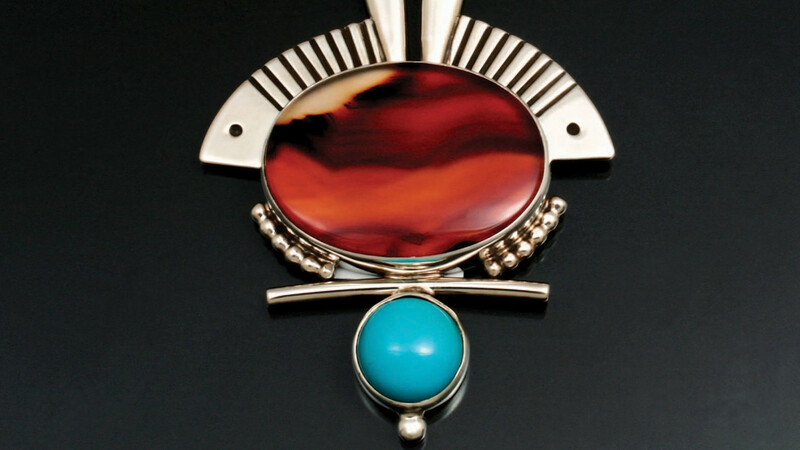 Making jewelry isn’t just a form of financial support for world-renowned artist Ray Tracey. It’s a form of ceremony. Every element in his designs symbolizes a spiritual connection or belief. Every piece has been a centering outlet for his creativity during trying times. 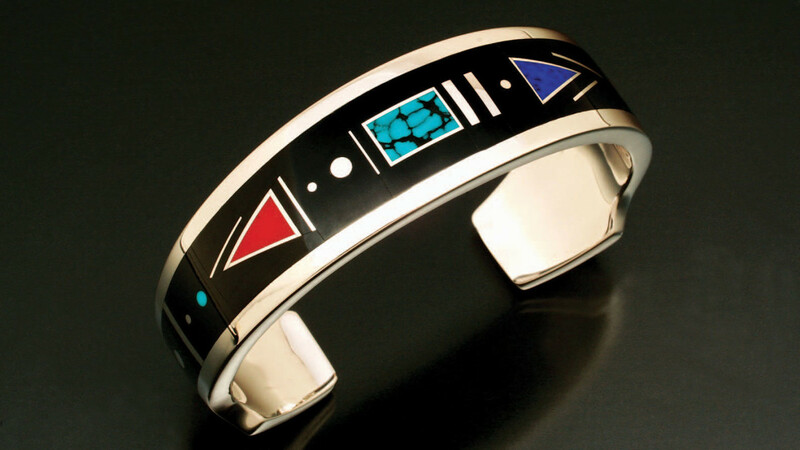 Born on the Navajo Nation in Arizona, Tracey learned to make jewelry one summer when he was 9 years old. After he complained to his mother one day that he was bored, she took him to the reservation school in Ganado, Arizona. He walked into the arts and crafts room and saw the silversmithing table in the corner and was hooked. It took him a week to make his first ring, which he gave to his mom. When his mother passed away five years ago, he was going through her belongings, and hidden behind the headboard of her bed he found the ring in a box. His mother had kept that treasure for more than 50 years. In spite of stories his grandfather Asa had told about how much he hated working the goat bellows to fuel the fire in the forge that would melt silver in a small cast-iron crucible, Tracey was set on his career path after his summer school experience. He told his father that he wanted to make jewelry for the rest of his life. That’s proven to be the case. Decades later, Tracey continues to make jewelry. But along the way, there was the matter of a little detour in Hollywood. 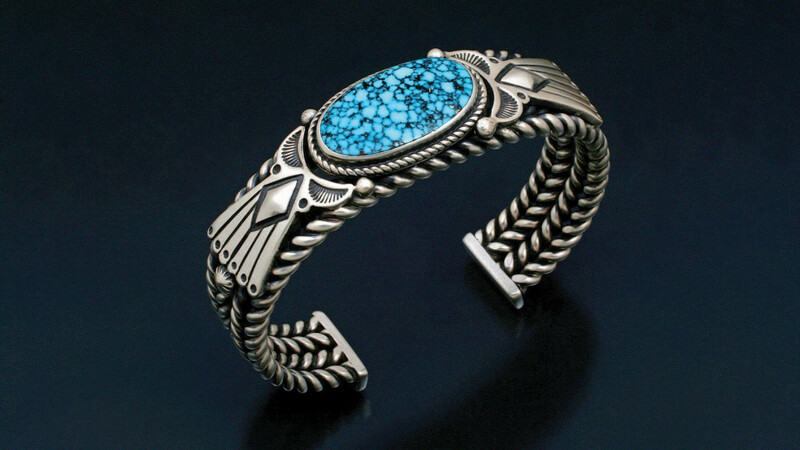 Making jewelry at night while studying chemistry and physics by day at Brigham Young University, as a young man Tracey would travel to Gallup, New Mexico, on the weekends to sell his work. It was at BYU that he got the acting bug that took him to Hollywood. That being the case, it made sense to move back to the Southwest, first to Gallup then to Albuquerque. When his mother had a heart attack, Tracey headed home to Arizona to care for her. “And then I got old and didn’t want to make another move,” he says, laughing heartily. At the height of his jewelry business, he employed 110 people and had two galleries in Santa Fe, one in Scottsdale, Arizona, and one in Atlanta. Then tragedy struck: Tracey’s oldest son, Kody, committed suicide. He was 19. He stopped making jewelry and focused on his six remaining children. He and his wife, Caroline, separated and divorced. Within three years he had liquidated or sold everything. That creative process has been a lifeline and a through line — in acting, where he was creating characters; in jewelry making, where he is creating art; in teaching, where he’s helping to create the next generation of practitioners. Ray Tracey is represented by Sorrel Sky Gallery in Santa Fe. Quite enjoyable article regarding the life and times of Ray Tracey = thank you.